Carlo Bossoli. The Valley of Uzenbash (1856) . 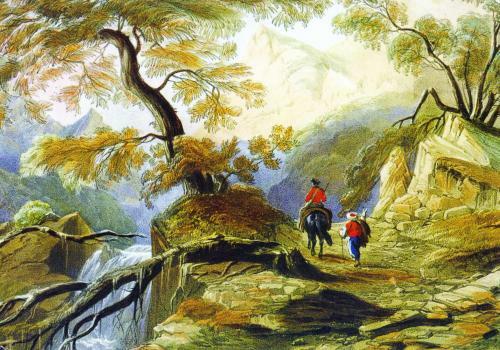 Bossoli (1815/Lugano – 1884/Turin) was a Swiss-born Italian painter and lithographer, who spent his early career in Ukraine. He is best known for historical scenes from the Risorgimento.